Two word sorts that can be done separately or together. Diagraph sorts for the "H brothers." First page, wh/ch. Second page, th/sh. Good for spelling practice, word work center, or introducing the concept. Print sorting mats (A3 size recommended) and sorting cards (A4 size recommended). 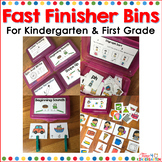 Students sort the cards by placing them on the sorting mat that corresponds with the digraph heard at the beginning or end of the word. Includes 41 sorting cards and 4 sorting mats. 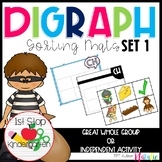 If you loved Diagraph Sorting Mats Set 1, you will LOVE this set too! 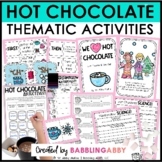 This is a great way to get your kiddos engaged in learning diagraphs (ch, sh, wh, th, and ph)! 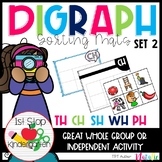 Diagraph Sorting Mats Set 2 is a great activity to use as a whole group, literacy center, pocket chart sort, or even as an assessment. 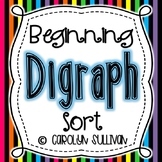 Students will sort the pictures by either their sh beginning sound or the th beginning diagraph. There is also a student assessment page to check for understanding. Enjoy! 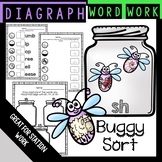 This is a center activity where students sort items by diagraphs- th, ch, sh, wh. Clip art from Microsoft Word. Consonant diagraph Sort for CH, SH, TH.